Below are the workshops you are able to sign up for. We are normally closed on Monday, classes will be held Monday nights. There are butterfly pinning classes and beetle pinning classes. Each workshop has the date of the event. Workshops are six people, maximum. You are able to purchase a spot in advance by clicking on a date listed months ahead of the current date. During checkout, you will be able to choose your main butterfly/beetle. This butterfly/beetle, and your choice of frame, will be the finished piece that you prepare and take home. At the end of the workshop, you will also go home with two butterflies/beetles that you can practice on. Those two specimens will be different than the one you do in the workshop. You will find out what species are available at the end of the course. During this workshop you will learn how to prepare, hydrate, pin and mount various specimens. You will receive your own personal pinning board and all materials will be supplied. Once you’ve spread your butterfly, it takes 24 hours to dry. 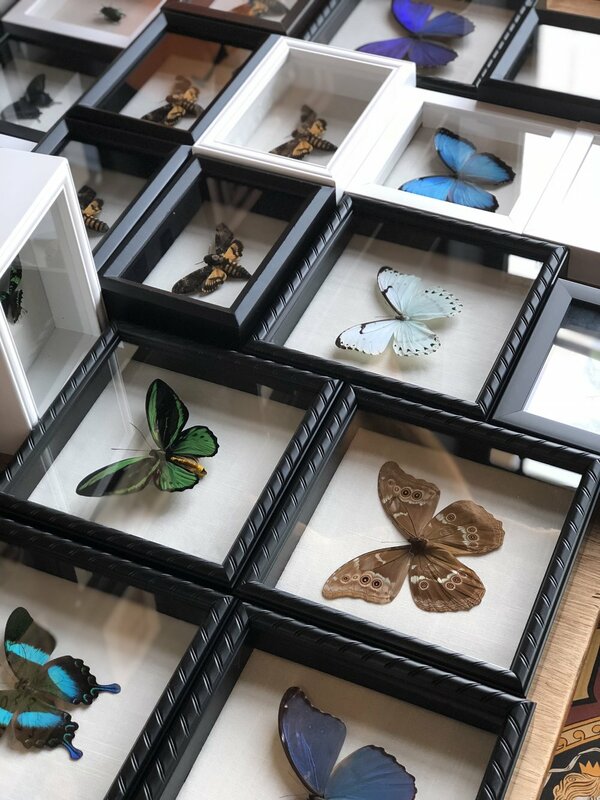 You will have the option to go home with your frame and butterfly to mount it yourself, or come back the next day and frame your butterfly in workshop. The workshop starts at 7pm and runs anywhere from 1-2 hours. If you decide to come the day after for framing, the class will start at 7pm and should only take an hour.